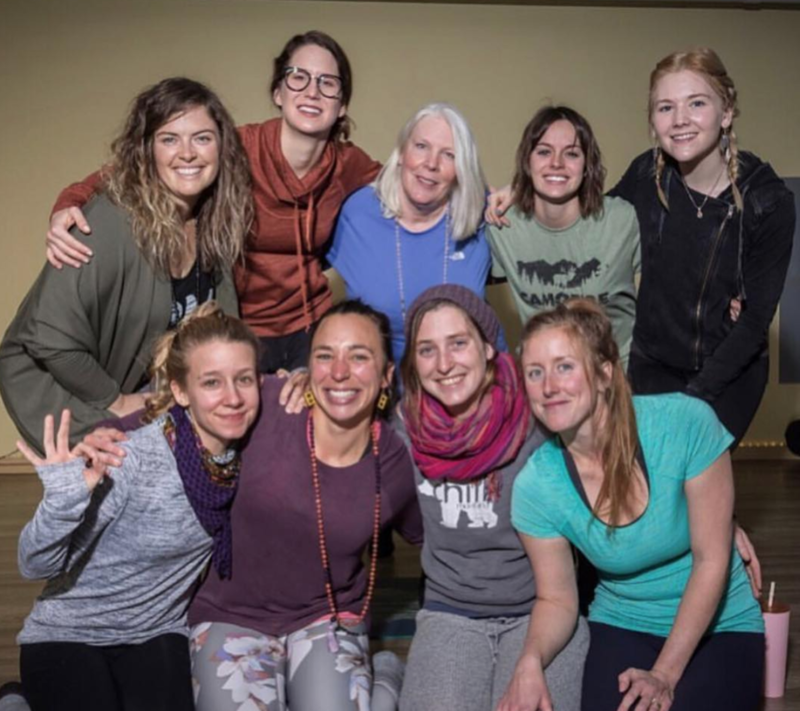 Yoga Hive's 200-hour Yoga Teacher Training in the Flathead Valley is geared at everybody and every body. + we offer discounted lodging for any yogis traveling in from around the state! Would I recommend others take Yoga Hive's YTT? Hands down, DO IT! This program was the best thing I've done for myself in years. I gained a real sense of community. 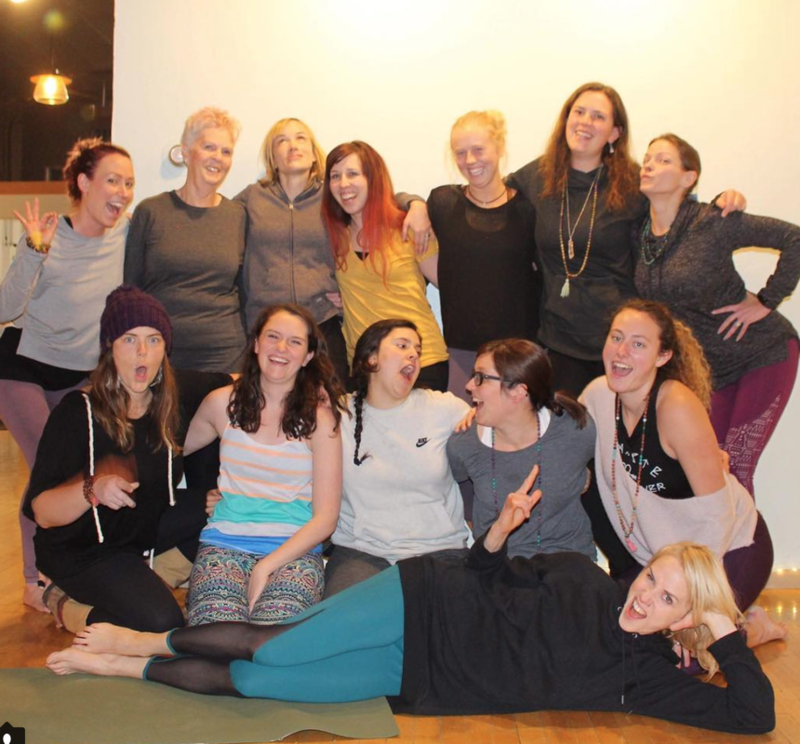 Not only with the other women in our training, whom I love like sisters now, but also with all the other yogis on the journey—the yogi you see every Friday in class while in training, the yogi who taught us how to teach every Saturday morning, and the Yoga Hive community in general. YTT gave me the tools to start to understand yoga, and that journey to truly practice yoga will be lifelong. ​My advice is this, regardless if you want to teach or not, you will make intense friendships, you will gain an understanding of yourself that you did not have before, and your practice will truly transform, which in turn will transform your life. Each year, we host two 200-hour trainings, one in the spring, and one in the fall. In 2019, our fall training starts September 26th. Choose the training that best suits your schedule — knowing that they both span 3 months, and meet approximately every other weekend, allowing for a partial workday on Wednesdays, Thursdays and Fridays if needed. Wednesday November 6 - Sunday November 10. No training on Friday the 8th because of the Ladies Night Out event downtown Whitefish! Trainees usually make this a fun night out together! ​So you're in, but need to miss a day or two, or Skype in from home for an evening? Please contact us about the possibility of make-up days/hours to complete your training! Locations vary by season, and the studios are approximately 20-30 minutes from each other! We recommend staying in Whitefish if possible, as most days will be in Whitefish. Rest assured, if you stay anywhere in the valley you'll be close to these locations! ​Everyone is welcome to join Yoga Hive's 200-hour Yoga Teacher Training in Montana. YES, seriously! Join us if you are interested in the time-tested spiritual map that yoga outlined thousands of years ago. Or if you want to know more about the physical and mental healing that yoga can produce. Beginners and experts are welcome. You do not need to have a desire to teach yoga upon concluding this training... many people take teacher trainings just for the self study aspect, and diving deeper into your personal practice. All we ask of every trainee is to come as you are, with an open mind and a willing spirit! What type of yoga do we learn? Although our program is inspired by Vinyasa styles of yoga (moving breath to movement, sometimes called Power Flow), trainees will learn how to sequence their own classes, at their own pace. We will experience many different styles, transition and postures, and experiment with sequencing a gentle yoga class (slow pace), a Honey Flow (medium pace), and a Hive Flow (faster pace), and whether you intend to teach upon the conclusion of the program or you're taking it for professional development, rest assured you will feel confident with sequencing and teaching many different ability levels! 180 contact hours and 20+ at home practice hours to experience the full scope of yoga, in history and the present, on the yoga mat and on the path to self knowledge. The Yoga Hive teacher training will keep your eyes bright and your mind sharp as we teach you how to lead classes through vinyasa sequences. Beyond the scope of the required Yoga Alliance curriculum, we will delve into the following topics, offer each trainee a brilliant program manual, surprise perks, and more! ... and more! We also bring in guest instructors to teach pieces of the training! Writer, yoga teacher, dog mom, backcountry skier, world traveler, and lover of all things business, Mollie Busby has been empowering leaders and coaching others through experiential education and yoga since 2004. The nonprofit she started alongside her husband, Sean, called Riding On Insulin, serves hundreds of kids with Type 1 diabetes every year around the world through action sports. Mollie's Yoga Studio Franchise company Yoga Hive Studios is known for making yoga and yoga teacher trainings inclusive and dynamic within the communities it serves. She started the company with the Whitefish Studio in 2015, and has expanded with two additional Montana Studios, a sister studio in Louisville Colorado, and Yoga Hive Wisconsin launching in 2019! Mollie's teaching style is vinyasa-based, focused on helping yogis of all abilities have an inspiring and fulfilling experience of both yoga and meditation. Mollie's classes have a distinctly playful, yet powerful energy — combining her certification to teach both Energy Medicine Yoga based on the work of Montana-native Lauren Walker and Donna Eden, and Sattva Yoga of the Himalayan Tantric tradition under Spiritual Master, Anand Mehrotra. Her power vinyasa roots come from her best friend, Brittany Hopkins of Container Collective Yoga in Lakewood Colorado (a Baptiste Yoga Affiliate Studio). Other influences come from her training in Art of Assisting through the Baptiste Institute, Unnata Aerial Yoga, Kids Yoga, as well as Yoga Anatomy training through Leslie Kaminoff and Amy Matthews. Mollie and her husband Sean have been featured on HGTV and the DIY network for their off the grid homestead in northwest Montana, where they live with their three dogs (Daisy, Glacier and Powder). When not in Montana, Mollie and Sean spend time living past Homer, Alaska in Fritz Creek — an off grid community where they can see the ocean and glaciers every day! Blaine started her wellness journey when she became a certified group exercise instructor and personal trainer in 1991. Over the next two and a half decades she immersed herself in a healthcare career while teaching others to live active, healthy lifestyles and competing in running races and triathlons including 30+ marathons and 4 Ironman triathlons. Blaine also became a certified holistic health coach in 2012. After significant soul searching and meditation, Blaine decided to leave the corporate world and create a space where her community can gather to work on physical, mental and emotional growth in a safe, fun and supportive environment. 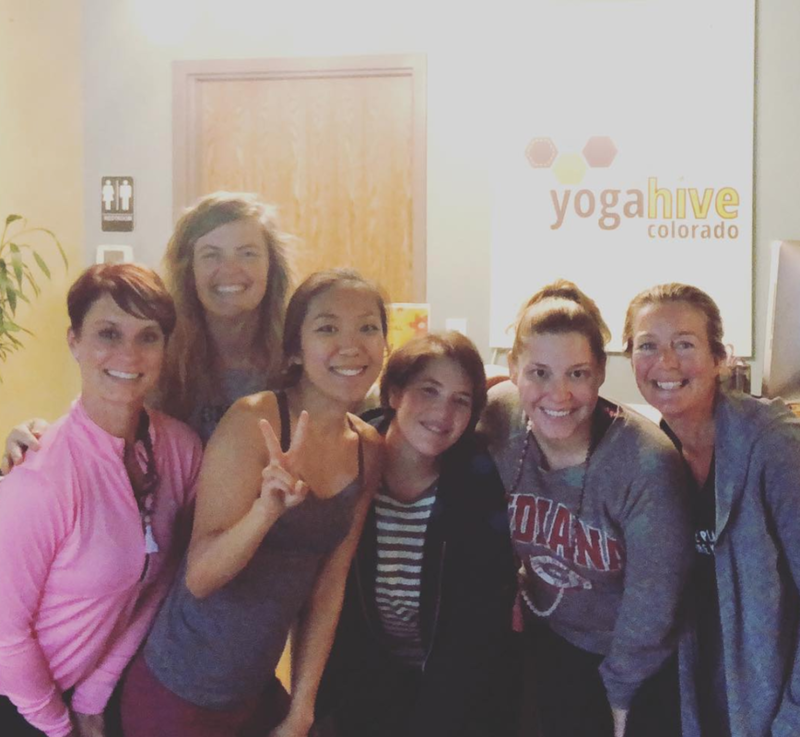 Blaine opened Yoga Hive Colorado in 2017. She is a registered yoga teacher, certified aerial yoga teacher, meditation coach, and is currently spending 18 months studying Energy Medicine Yoga with Lauren Walker to become an Energy Medicine Yoga Master Teacher. Passionate about fitness, Blaine is a certified Group Fitness Instructor by American Council on Exercise and continues to pursue education in yoga, fitness, nutrition, meditation and wellness. Look for lodging close to downtown in Whitefish in order to NOT need a rental car during your stay here! If you have a rental car, it opens up your options to Kalispell or Columbia Falls/Glacier National Park (~20 minutes from Whitefish). We have limited space in a local airbnb rental at an extremely discounted rate (~$50/night) for traveling yogis! Contact Mollie directly to book your space in this shared home. Airbnb - best thing to do is to search locations close to our studio. You'll have cheaper rates if you select private ROOM versus private house. Yoga Hive owner Mollie Busby also has a home in Whitefish that she rents out to travelers — and if it's available, trainees can rent the house for a low cost! Whitefish Hostel - 2 blocks from the studio - $35 per person per night. Whitefish Lake Lodge (a longer walk to the studio... maybe 6+ blocks, although they do have a shuttle) - A SUPER nice lodge on the lake and beautiful views! Tips: If you're search for airfare, do so on a Tuesday or Wednesday when they are the cheapest. Also, don't keep rechecking and rechecking from your same browser, as it will recognize you and that search and drive up the prices automatically. I (Mollie) am VERY well versed in booking flights, and am happy to find you the cheapest recommendation I can find! Airplane: Fly into FCA (Kalispell MT). Don't waste your time flying into Spokane or Missoula and driving here. We aren't surrounded by easy freeways so you'll be driving on a lot of windy highways. It's always cheaper in the long run to fly directly here! Amtrak: Amtrak comes right through the center of downtown! They've had problems in the past not being on time, so just be wary of arrival times, etc. By car: Driving to Whitefish? Awesome! Because it is during the winter season, you will want to be equipped for winter weather in the event it snows. It's easy to get around, but as I said, we aren't surrounded by major freeways or anything, so you'll be on 2-lane highways for most of your way here from Spokane or Missoula or Calgary. Hopefully you won't need one! But if you do, all the rental car companies either rent directly from the airport (all the regular brands that you see at any other airport). You can also rent cars from the Amtrac station here in the middle of downtown. I know Hertz rents from there specifically. If you're in need of a ride from the airport downtown and back, I'm happy to help coordinate (me, Mollie) as I live here and can assist where necessary!